I bought my BMW M roadster about a month ago and I couldn't be more pleased. The car is in perfect condition, low miles, one owner, all in all like new! Joe & his tean are top notch. 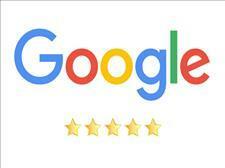 Like the other review -- great help & no high pressure. I will definately see them for my next car. I bought my first car from Joe and it was a wonderful experience, better that i could have ever expected. He was so helpful with every single detail and question I had. I didn't know a lot going in and I left with a better understanding about cars than I ever thought I could. I would recommend going to Ride Smart Auto to anyone, and when the time comes I will definitely be coming back. It was worth the 1.5 hour drive. Thanks so much for everything! After being in an accident and having to move back to grad school in a few days, Ride Smart Auto was extremely helpful. I was able to find my dream car at an unbelievably affordable price! They gave me the best deal possible. And everyone there is very kind and honest with their sales, prices, and even opinions on their vehicle inventory. This is a very customer-centered dealership. Everyone was courteous and helpful. We didn't even have to break out our negotiating skills--the dealer immediately discounted the car to cover the few minor issues he himself disclosed to us. A wonderfully smooth and pleasant experience. We traveled nearly 2 hours to get there and it was so worth it! I have been worked over so many times that the car buying experience is often seen as a overtly negative experience where all I’ve wanted to do was get a good quality car and dealers just wanted to take advantage of that need on so many mind numbing levels. Be it the emotional response one gives when test driving the car they like, or feeling obligated to the salesman in a purchase, even the working of the numbers in the dealerships favor. The process can make one feel used and abused. I can say that this is roughly my 10th car purchase over my many years of driving and by far the most positive experience. Joe is an amazing and honest salesman. He stayed behind to make time for my distance traveled and made a lifelong “family” customer along the way as my sons will visit Joe first for cars. In the last few years of moving up here it has taken awhile to find great folks like a real estate agent, lawyer, accountant, and car mechanic, well I am happy to say we found Joe, our family’s car salesman. I got the pleasure to work with Joe. This was the first car I was purchasing and after visiting a few dealerships and not having a great experience, I was pleasantly surprised by the ease and transparent process at Ride Smart. 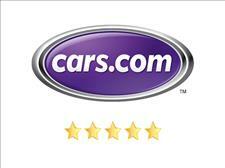 I am so glad they had the vehicle I wanted to purchase, for a very competitive price and Joe did everything he could to ensure that I had the best possible deal. Very upfront with the entire process and answered every question I had. Wonderful staff, knowledgeable, upfront and great to worth with. I would recommend to anyone looking to purchase a vehicle to check Ride Smart out! We dealt with Joe and he was an absolute pleasure to work with! Ride Smart Auto is super personable and down to earth and they do so much for the buyer! The pricing for vehicles is phenomenal too! Can’t be beat! We will definitely be second time buyers!! !